now the German state of Hessen. 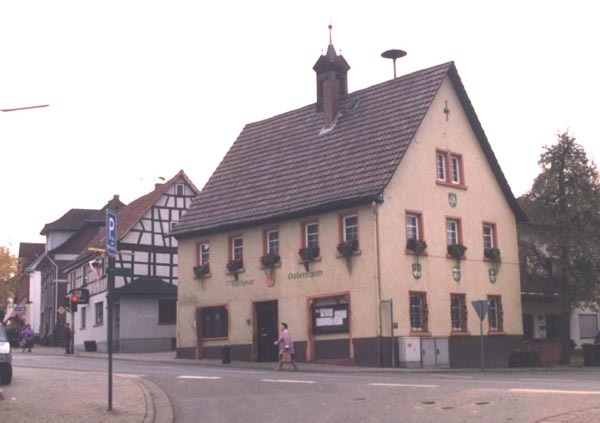 About 1750, the family moved a few miles west to the village of Gadernheim. Finally, in 1831, Christian and Nicholas Preiss immigrated to America. + Click here for Price family page. 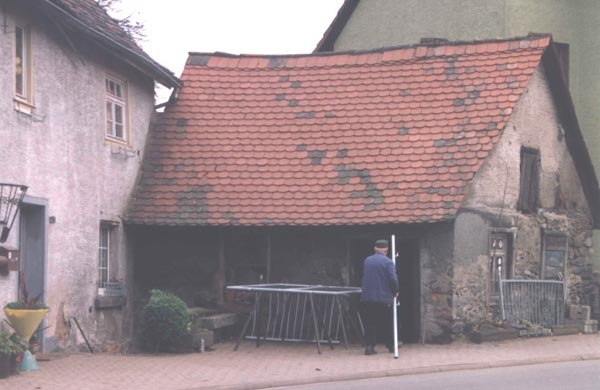 + Click here for Price family data from Germany. 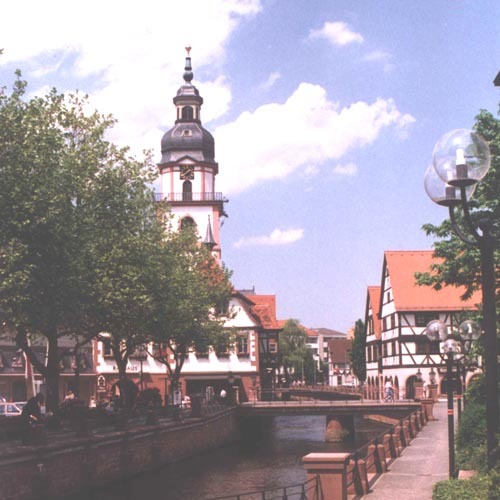 Baden-Wuerttemberg. 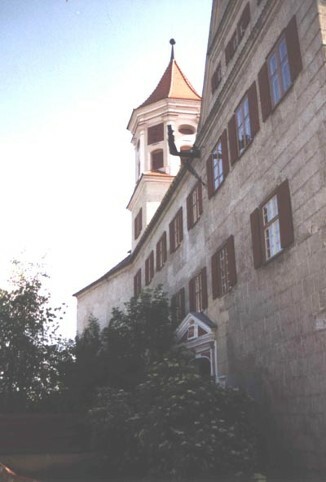 Home of earliest-known members of the Preiss family. members of the Preiss family are mentioned in church records from the town. 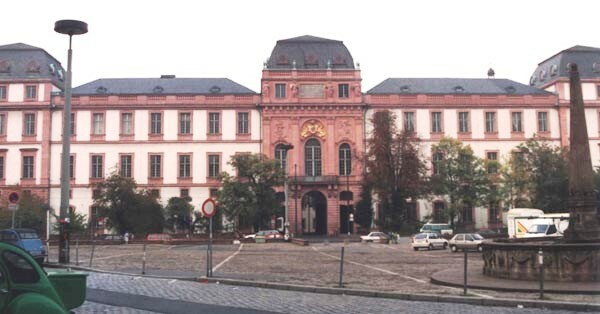 Castle in Brenz an der Brenz. Protestant church in Brenz an der Brenz. Hans Preyss' marriage record from 1651 in Brenz. Odenwald region of Hessen. 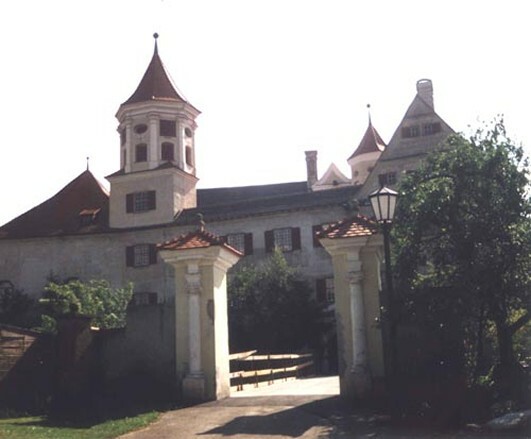 Home of the Preiss family from the late 1600s to the mid-1700s. 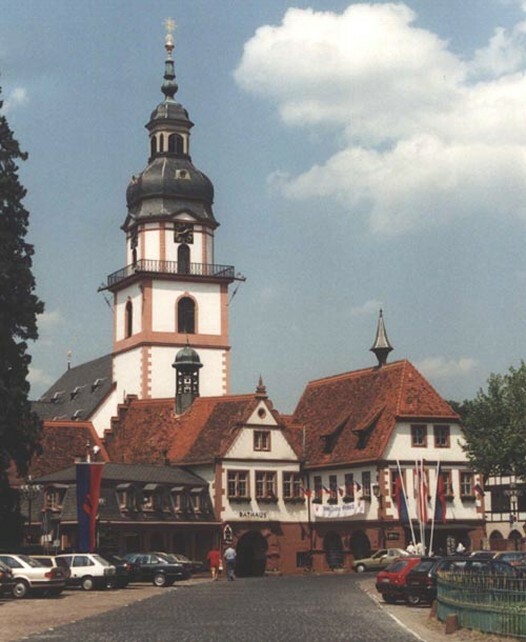 Lutheran church and town hall in Erbach. 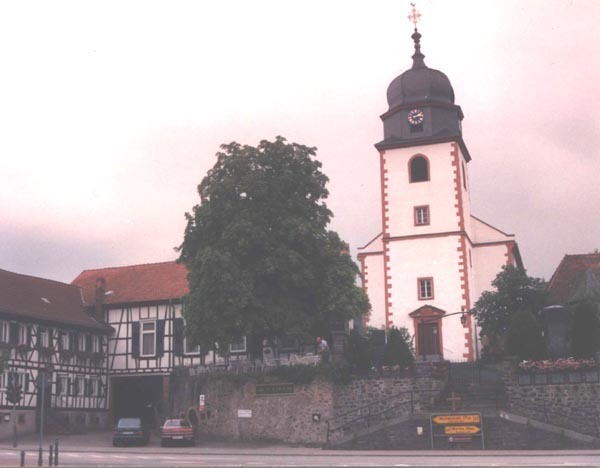 Erbach's castle, left, and Lutheran church. 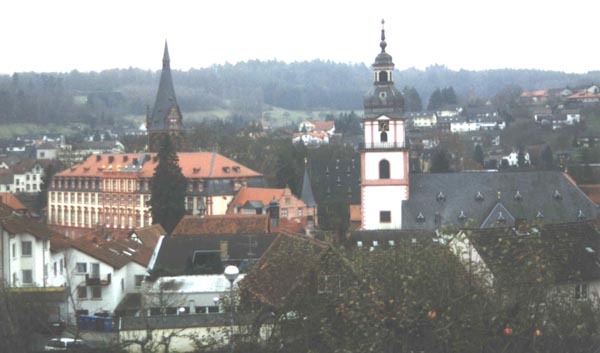 Erbach, with Lutheran church at left. Han Wilhelm Preiss' birth record from 1688 in Erbach. Odenwald region of Hessen. Home of the Preiss family from the mid-1700s until immigration in 1831. 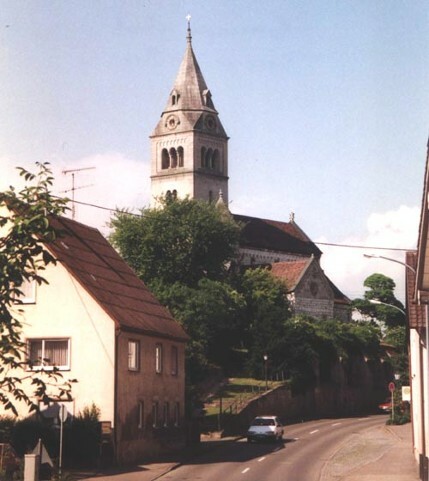 Hesse-Darmstadt when the Preisses lived in the town. Christian Preiss' birth record, with note that he immigrated in 1831. Nicholas Preiss' birth record, with note that he immigrated in 1831. Nicholas Preiss' signature from church records.